The day after John F. Kennedy was assassinated, Flannery O'Connor wrote a letter to her friend Sally Fitzgerald, who was living abroad at the time. "The President's death has cut up the country pretty bad," she reported. "All commercial television is stopped until after the funeral and even the football games called off, which is about the extremest sign of grief possible." In some ways it's a characteristic O'Connor remark: funny, unsentimental, informal, regional in emphasis. Here was a writer who could make a joke, and an insightful one, about the grisly death of a president. But it's also a remark that's instructive in what it does not say. Writing to a friend, a Catholic like herself and a Fitzgerald to boot, O'Connor says nothing about good and evil, nothing about the dashed expectations of American Catholics, nothing about the images of crucifixion and martyrdom the killing had called forth in the press. Here was a writer who knew better than to look for signs of the times in the usual places. Better to find them in the interrupted rituals of football and TV. I was led to recall that remark earlier this year, when, as Lent began, a Lent that promised once again to be thick with news reports about controversy among Catholics—this time over Mel Gibson's film dramatization of the Passion—I found myself thinking about, and then writing about, the signs of the times found in a short story that has little to do with Catholics or Catholicism. The story, by Jhumpa Lahiri, is "This Blessed House," from Interpreter of Maladies, which won a Pulitzer Prize a few years back. Like the other stories in the book, "This Blessed House" is about young people of Indian descent making lives for themselves in America. In this case they are newlyweds. Sanjeev, born in Calcutta, is an MIT-trained engineer. Tanima—nicknamed Twinkle during her girlhood in California—is a graduate student in English. Their marriage was arranged by their parents. So was their wedding, a party for friends and relatives, many of whom they'd never met. So was their honeymoon, a journey through India and its traditions, from which these "good little Hindus," as Twinkle calls them, are estranged. As the story opens, the newlyweds are moving into a grand old house in Connecticut. It has fireplaces and an elegant staircase, and also some furnishings they didn't expect to find. A porcelain effigy of Christ tucked away in a cupboard above the stove. A "blond, unbearded Jesus delivering a sermon on a mountaintop." A "larger than life watercolor poster of Christ, weeping translucent tears the size of peanut shells." A "3-D postcard of St. Francis . . . taped to the back of the medicine cabinet." And, hidden behind an overgrown forsythia bush, "a blue plaster Virgin Mary as tall as their waists, with a blue painted hood draped over her head in the manner of an Indian bride." The action of "This Blessed House" has to do with how two "good little Hindus" come to terms with the "sizeable collection of Christian paraphernalia" that now belongs to them. As the story begins, these devotional objects are an offense to the engineer husband and a curiosity to the literary-critical wife. As the story develops, the objects come to seem something like blessed—and the newlyweds' encounter with them is what turns an arranged marriage into a real marriage. As I read the story, though, I found myself wondering why those Christian objects were left behind in the first place, and what their presence suggested about the nature of the previous owners' faith. Maybe the people who moved out of the house left Jesus, Mary, and the saints behind as a way of abandoning them, shaking the dust of Catholic culture off their boots. Or maybe they left the religious figures in place out of respect—as if, after many years in the house, Jesus and Mary and St. Francis had become indigenous to the house, part of the landscape. Or maybe they left in a hurry and could take only the possessions they considered essential—and found that Jesus and Mary and their plaster-of-Paris cohorts weren't essential. Maybe they died and took their faith with them. The story isn't about the religious faith of the people who used to live in that house. It isn't a story about religion at all. But I have midrashed the story at some length because it seems to me that the significance of those objects, the charge they give off to the reader, might tell us something about the beliefs of American Catholics today. In these early years of the 21st century—which, if you count back to Columbus, is the eighth century in which there has been a Catholic presence in the Americas—it is hard to say whether the religious faith of American Catholics is something being cast off and left behind; something accepted, even taken for granted, as part of the landscape; or something with a powerful but indeterminate religious charge, now sacred, now profane, depending on the circumstances. For the people who would lead American Catholics, a lack of certainty on this point is a problem, and one for which, these leaders often suggest, American Catholics themselves are especially to blame. For the Catholic writer, however, this lack of certainty is the occasion of conflict, and so the source of drama, for this writer has been forced to recognize that it is in the quandaries of the would-be believer that the characteristic religious experience of our time is to be found—in the gropings of people who realize, often in the unlikeliest of circumstances, that they are believers in spite of themselves. I AM THE AUTHOR OF A BOOK ABOUT four great American Catholics of the last century: Dorothy Day, foundress of the Catholic Worker movement and editor of its newspaper; Thomas Merton, the Trappist monk and ceaseless chronicler of the inner life of the contemplative; Walker Percy, novelist, philosopher, and last gentleman of the South; and Flannery O'Connor, the "Christ-haunted" literary prodigy whose work has become the gold standard for Catholic fiction in its time. The book, The Life You Save May Be Your Own, is about their lives and works and the way these seem in retrospect to converge in the middle of the last century, so that their four pilgrimages seem aspects of a single pilgrimage—from the God-obsessed past of Dante and Dostoyevsky out into the thrilling chaos of postwar America. A pilgrimage is a journey taken in light of a story. The story precedes us: We've read it, we've heard it, we've been raised in it, in many instances. And at some point we need to test that story with our own experience—to read it with our lives and make it our own. A pilgrimage—whether Dante's or our own—has certain distinguishing features. The pilgrim sets out on a path that others have taken, hoping to witness what others have seen—to see it with his or her own eyes. Pilgrims travel in company, but each must encounter the holy site personally. Finally, the pilgrims, on their return, tell others what they have seen and heard, so that others might be moved to set out on pilgrimage themselves—to go and do likewise. The Life You Save May Be Your Own, then, is the story of a pilgrimage in which four writers took the models of European Christianity—which they found expressed most powerfully in certain great books—and made them their own in the circumstances of 20th-century America. But it is also the story of the pilgrimage of American Catholics as a whole—about the diverse ways in which the pattern of pilgrimage runs through the life of the Church and through our individual lives. I have had the good fortune to be invited to speak about the book at events around the country, and inevitably two questions arise. One is this: Who are those four writers' successors—or, to put it differently, why don't they have any successors? How can it be that their pilgrimage came to an end so abruptly? Now, they obviously do have successors—the American Catholics who came of age in the time of the Second Vatican Council. And on the face of it there is plenty of evidence that the pilgrimage is still ongoing: The Church is actually growing, American Catholics have kept faith in an extraordinary variety of ways, and there is no shortage of writers with something to say about this or that aspect of the so-called American Catholic experience. But to judge from my encounters with readers at those book events, there is no denying that as the American Catholics who were raised before the Second Vatican Council ponder last things, one's sense of an ending is strong. If a certain pilgrimage, an epoch in the history of the Church in these parts, is now coming to an end, it is the pilgrimage that had Vatican II at its center. And, that being the case, the sense of an ending is all the stronger, because it was with Vatican II that—doctrinally speaking—the Church finally entered history, as the council fathers countered several centuries of dogma that situated the Church above history with the affirmation that the Church is the "people of God" on a pilgrimage in time—as the Lord's command to bring the good news to the ends of the earth takes root among diverse peoples in particular eras and societies. And yet the practical effect of the Church's entry into history—in America, at least—was paradoxical and bewildering. Catholics actually became estranged from their history. The council may have been a "return to the sources" of Catholic thought and life, but in this country, at least, it was welcomed as a new thing altogether. In a stroke the immigrant Church was done away with, the Catholic children of the baby boom came of age, and a new and up-to-date American Catholicism was put in place. So it was, evidently, for the people who came of age in the 1960s, and who have left us countless novels and memoirs about the experience. But for many of us who came of age later, the council seemed to have reduced the long Catholic past to an assemblage of 3-D St. Francises and watercolor Jesuses weeping translucent tears—and to have banished it all to the attic. A sense of the distance between the Catholic past and the Catholic present became a defining aspect of our religious experience. Religious life, for this generation, became a kind of wire-walk across the gap between history and experience. Now, many people would say that this state of things has been arrested by the present pope. Yet John Paul also is a member of the Vatican II generation: Exactly half his life has passed on each side of the council. And his sense of history, too, can be paradoxical and bewildering. He has energetically reaffirmed teachings that seem defiant of history, or not cognizant of it. He is not immune to the Old World tendency to lord history over us New World naifs. And his long public decline has only heightened the sense of an ending—of a loss of vigor in the Church in general. THE CHARACTERS IN JHUMPA LAHIRI'S story were raised, as I was, in the years after Vatican II, and the story plays on the comic mismatch between the European Catholic past and the American Catholic present in the way so much recent Catholic fiction does. But because Sanjeev and Twinkle are "good little Hindus" and not, say, Boston Irish Catholics, the story calls our attention to some profound changes in American religious life that the conciliar coming-of-age story can obscure. One is the extent to which American society has changed in the past 35 years, with striking effects in the life of the churches. The writer Richard Rodriguez, for example, depicts the middle Sixties—the Vatican II years—as crucial years in his story of the "browning" of America, a change that had more to do with immigration from without than assimilation from within. In Rodriguez's account, 1965 was the year when U.S. immigration laws were changed in such a way as to call forth several million immigrants from Asia—the likes of Sanjeev and Twinkle among them. For these immigrants, Vatican II American Catholicism is not a new thing, not a suddenly formidable rival to Protestantism, not a cure for all the ills of the immigrant Church or a watering-down of ancient orthodoxy. For them, it is simply the local expression of the native religion. That this is so is the result of another great change: the emergence of the Catholic Church as the dominant Christian body in the United States. Just when American Catholics were leaving their religious history behind, American Catholicism was becoming a fixture in the country's religious landscape. This change is especially apparent in New England, where for two centuries, to speak of immigrants was to speak of Catholics, and to speak of pilgrimage was to speak of the Pilgrims. But things have changed. The Catholic faith has become indigenous in New England, to the point where reporters describing the recent scandal in the Church referred reflexively to its effects in "Catholic Boston." And in that change, perhaps, is found the answer to the other question I have been asked these past few months in connection with my book: "How does the pilgrimage of the four writers bear on the crisis in the Church today? What can they tell us about the scandal of priestly sexual abuse and the cover-up by the bishops?" I CAN'T SPEAK FOR THOSE WRITERS, only for this one. And it is my view that the scandal will inform the pilgrimage of today's American Catholics the way the Second Vatican Council did the pilgrimage of the generation before ours. Not so long ago I might have stood here and told you that the American Catholics of today were akin to the "good little Hindus" of "This Blessed House"—that for many of us Catholicism seems like somebody else's religion. Its previous owners have left in haste and disarray. Its sacred images are encountered inadvertently and against one's will, now threatening, now bewildering, now kitschy, now a source of the genuine curiosity that can prompt an indifferent husband to feel, in the presence of his new bride and the sacred images that have caught her fancy, "as if the world contained hidden wonders he could not anticipate, or see." I might have told you, in short, that American Catholics more than ever were estranged from their history. Well, we are now in a different age and facing a different predicament. And the difference is this. With the scandal of priestly sexual abuse, the American Catholics of today have entered history at last. The exciting story of an ecumenical council and its aftermath has been interrupted once and for all, pushed aside by a story so appalling, so contrary to all that is true in Christian faith and practice, that it calls faith and practice into question. No longer are American Catholics today akin to those "good little Hindus," looking with detached curiosity on the canonical images of modern Catholic kitsch. We are more like the people who left that grand old house in disarray. Some of us have abandoned faith in disgust and astonishment, have died to the spirit once and for all. Some of us have left the Catholic furniture in place, part of the landscape, even though, in truth, we have moved on. Some of us, contrariwise, have kept faith but left behind the appurtenances of American Catholic belief. And yet some of us have discovered, in our betrayal and sense of violation, that our Catholic faith goes deeper toward the core of ourselves than we had suspected. Whereas Vatican II was characterized by a domestic image—the "opening of the windows"—our entry into history today is characterized by images of flight. 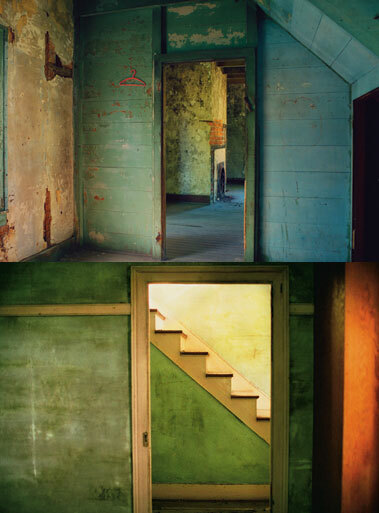 For this writer, two such images stand out, joined together in a kind of diptych. One is the image of Boston's cardinal archbishop dining out in a restaurant in Rome—having caught a flight out of Logan for the weekend—when he was said to be on solitary retreat in New England praying over his predicament. The other is the image of a man, a victim of priestly sexual abuse, absorbed in prayer behind the steering wheel at a traffic light, for, as he told a reporter for the New York Times, he no longer feels safe praying in the church, or anywhere except "in my vehicle." The leader of the bishops' conference recently characterized the priestly sexual abuse scandal as "history." So it is, but not in the sense he meant. It is not past; it is a provocation and a point of departure. Those who would lead the Church are concerned about the scandal's long-term effects. But the Catholic writer knows that these effects are not to be assessed sociologically and in aggregate—in terms of parish affiliation, annual giving patterns, and the like—but are to be contemplated and dramatized, one would-be believer at a time. With that in mind, this writer can see that an encounter with the Church at a low point in its history is not necessarily unfortunate. For one thing, there are plenty of other low points in the Church's history, and any genuine Catholic faith must take account of them. For another—and this is the heart of the matter—the scandal has made apparent that many of the American Catholics of today have been living on the faith of our predecessors. Now we have begun, with weeping and gnashing of teeth, to encounter this faith tradition for ourselves, so that we might make it our own, whatever the consequences. The would-be believer of this generation hasn't lost her faith so much as her fideism, her willingness to take faith itself on faith. When The Moviegoer won the National Book Award, Walker Percy was asked why there were so many good Southern writers. "Because we lost the War," he said, and Flannery O'Connor later glossed his remark with startling eloquence. "What he was saying is that we have had our Fall," she explained. "We have gone into the world with an inburnt sense of human limitations, and with a sense of mystery that could not have developed in our first state of innocence—as it has not developed sufficiently in the rest of the country." And so it may be today. I suspect that the scandal has in its sad and wounding way sent today's Catholics back to the sources of religious faith, much the way the council did our predecessors. Is there a God? What might it mean that God came to earth, lived, died, and rose again? What might it mean to follow him? For this generation the pattern of pilgrimage is not the one suggested by Pentecost, after which the disciples went forth to bring the good news to all the nations, each in his own language. It is the pattern of Lent. We begin literally at the bottom, as dust, humbled, broken, divided, and venture forth from there. Instead of measuring our lives and the life of the Church today against the success story of the American Catholic coming of age, we must measure them against the gospel story, which is a story of failure, of division, of violence. A NEW AGE REQUIRES A NEW PILGRIMAGE. But it seems to me that today's Catholics might look for example to the great pilgrims of the era that led up to the Second Vatican Council—to Dorothy Day, Thomas Merton, Walker Percy, and Flannery O'Connor, who found and kept Catholic faith by making it their own. For one thing, those writers' lives and works remind us that the business of the Christian believer, first of all, is not to fix the Church, not to change the Church, but to follow Christ: to discern the pattern of Christian pilgrimage in our individual lives and to act upon it accordingly. They prompt us to ask: On the Church's "pilgrimage in time," what paths are our individual pilgrimages meant to take? What will the varieties of 21st-century Catholic experience be? What might a life of holiness or sanctity look like? At the same time, those writers remind us that religious experience is not merely subjective, and that the Christian story—so Catholics believe—is not just a story but a true story, a work of nonfiction. For those writers, it was a matter of conviction that as human beings all of us have the pattern of pilgrimage inscribed within us—that just as the word "history" contains story within it, so our earthly pilgrimage contains the image of Christ at its root or end. Dorothy Day's charity and her pacifism both stemmed from her belief that in the stranger, in every stranger, friend or foe, the image of Christ is found. Walker Percy found the basis of his faith in what he called the "Christian anthropology"—the Church's understanding of the human person as a creature at once broken and fixed. Thomas Merton described the "disintegrated wandering" that comes about when the outer pilgrimage does not correspond to the inner one, a journey to the encounter with the living God in contemplative prayer, the experience toward which, he believed, human nature is oriented. Flannery O'Connor found an image of this belief in her story "Parker's Back," in which a man has a Byzantine Christ tattooed into his back in acknowledgment that he is made in the image of God. Catholics believe that every human person is inscribed with the image of God, and that in some sense we are all on pilgrimage together, bound for a common destination. This is another way of saying that the Christian story is not only a true story; it is a story—so we believe—which everybody ought to know, for each of our pilgrimages must pass, will pass, whether we like it or not, by the foot of the cross. By these lights, the "good little Hindus" who move into the house are inscribed with the image of God no less than the Catholics who moved out, and the image of that blessed house with figures of Christ and Mary and the saints in the corners is akin to the Catholic image of the human soul. In my experience, the Church's claim to be the bearer of salvation for all is the hardest of all the hard sayings. It is this claim, as much as the sins of the priests and bishops, that makes our religion scandalous to the American Catholic of today. Only a true naif would hope that the American Catholics of today might somehow overcome this double stumbling block—the scandal in the Church, and the scandal of faith—without conflict and anguish. And yet only a naif would think that the image of God on which our pilgrimage depends—an image inscribed by an Other and made vivid by culture—could be blotted out altogether by scandal. It may be that the would-be believer will never become a believer—that the flight of American Catholics today will never turn into a genuine pilgrimage. It may be that today's American Catholics will remain pilgrims in spite of ourselves, oriented toward a destination of which we are unaware or indifferent or openly disdainful, even as it promises to make the difference between our lives being saved and merely being survived or salvaged. Only a cynic would hope for such an outcome. But only a cynic—one of a different kind—would presume to say that the terrible events of recent years have been good for the Church in this country, that they are something like—I have heard it said—an occasion of grace. For one thing, the granting of grace is out of our hands. For another, it is too soon to tell: Although the hour is late, the pilgrimage of today's American Catholics is only just beginning. Paul Elie, a senior editor at Farrar, Straus and Giroux, is the author of The Life You Save May Be Your Own: An American Pilgrimage (2003). This essay is based on the Candlemas Lecture, which he delivered at Boston College on February 4, 2004.